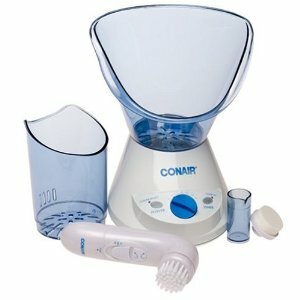 The Conair Facial Sauna is devised to cleanse skin by opening clogged pores for easy extraction. It can also be used to open clogged nasal and sinus passages. It comes with two cone shaped attachments, one is 6-3/4" wide and is to accommodate the face, chin and neck for a full facial cleanse. While the second attachment is 3-1/2" wide, this is created for the nose so you can breathe in the steam during allergy and cold season. There are some mixed reviews on this facial sauna, although the majority of the users say it is good for the money, some think it doesn't work very well at heating the steam quickly and that it doesn't last long enough. However, other fans say it unclogs their pores and softens their skin just as well as a more expensive brand. Most people do agree that it is quick noisy and you can hear it over the T.V. At $25.99 it is a bargain buy just don't expect it to be perfect but for the price it does the job, according to most of the users. 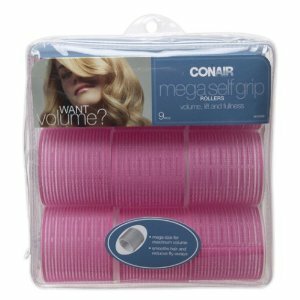 You are currently browsing the archives for the Conair category.